How to remove an integration from an account? To remove an integration, there are two steps. 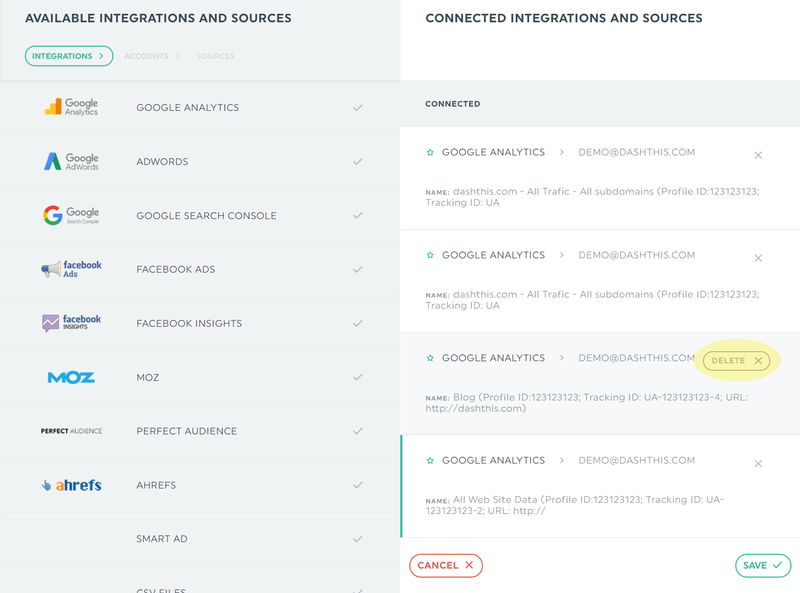 1- First off, you need to make sure that you don’t have any dashboard currently linked to the integration you want to remove from your account. 2- If this isn’t yet the case, either delete the dashboard in question or delete the source from the dashboard using the little “sources” icon in your main admin page. 2- Next, go to the Integrations page and hit “delete” next to the integration you want to remove. Done, the integration isn’t there anymore! This entry was posted in Integrations and tagged Managing Dashboards. 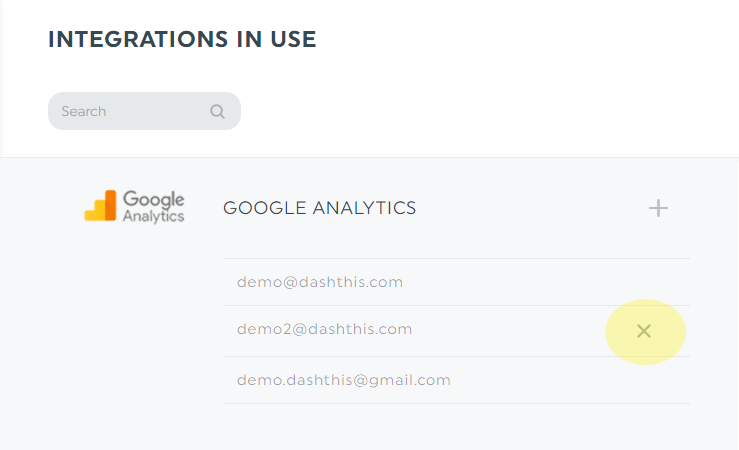 How to consolidate or aggregate data from many Google Analytics accounts profiles?